Fibrodysplasia ossificans progressiva (FOP) is a rare congenital disease with autosomal dominant transmission characterized by the presence of malformations of the big toes and of postnatal progressive heterotopic endochondral osteogenesis. We report the case of 3-year-old girl with dysplasia of the first metatarsal bones and progressive heterotopic ossificans of the right thigh due to previous diphtheria–tetanus–pertussis immunizations and several inappropriate surgical interventions. 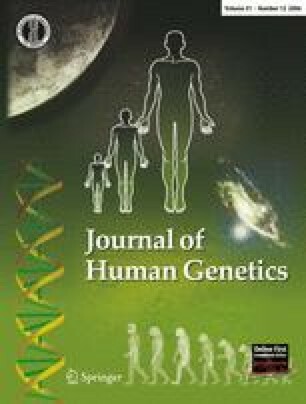 Direct sequence analysis identified a 617G–A nucleotide mutation in the patient but not in her parents or brother. Pedigree analysis suggests that a de novo mutation in the ACVR1 gene is responsible for the disease in this family. This is the first report of the results of a mutation analysis in a sporadic case of FOP in a Taiwanese patient. 1.Faculty of Department of Orthopaedic Surgery, Chung-Ho Memorial Kaohsiung Medical University HospitalKaohsiung Medical UniversityKaohsiungTaiwan, R.O.C. 2.Faculty of Graduate Institute of Medicine, College of MedicineKaohsiung Medical UniversityKaohsiungTaiwan, R.O.C. 3.Faculty of Department of Orthopedics, Kaohsiung Municipal Hsiao-Kang HospitalKaohsiung Medical UniversityKaohsiungTaiwan, R.O.C. 4.Faculty of Biomedical Science and Environmental BiologyKaohsiung Medical UniversityKaohsiungTaiwan, R.O.C. 5.Faculty of Department of OrthopedicsPingtung Christian HospitalPingtungTaiwan, R.O.C.